As of December 1, 2017 the R340A has been discontinued. Support and warranty for the existing models will continue and software updates will still be provided. 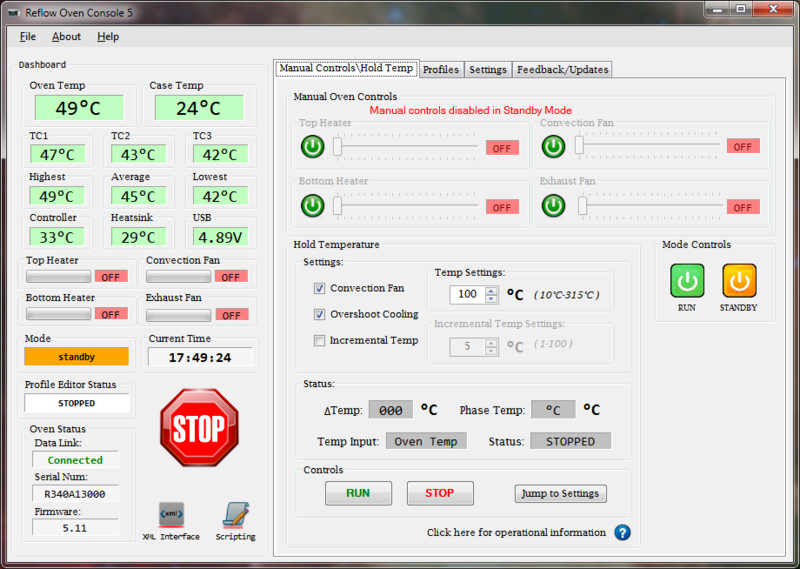 A new reflow oven model is under development, please check back for updates. 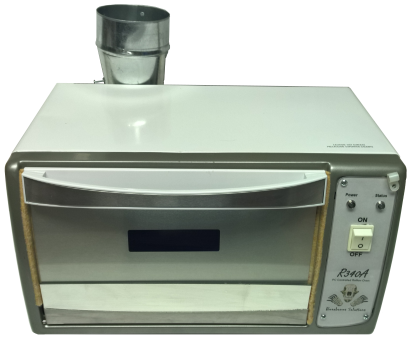 The R340A Reflow Oven is a” toaster style” Reflow Oven designed for small business’s looking for a commercial quality reflow oven without the commercial price. The R340A offers an excellent balance of performance, features, and price point. The R340A utilizes (4) resistive heater elements with a unique Isotropic IR Susceptor heater element shields to level shift the infrared radiation for more even heating of surface components of different color and material composition. 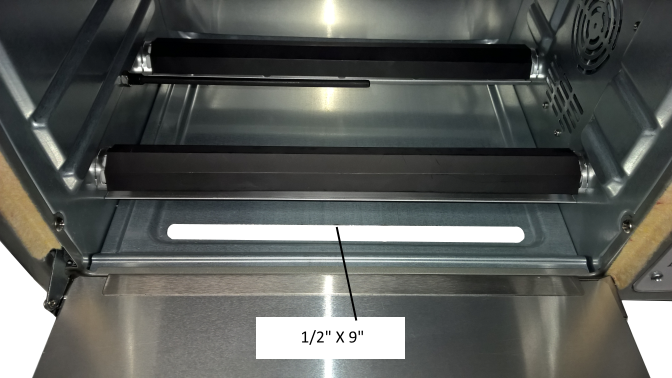 This along with the convection fan creates an envelope of evenly heated air inside of the oven. 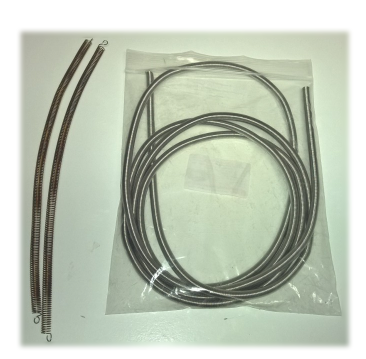 (3) external thermocouples are provided for board temperature monitoring which allows for even more precise temperature control. 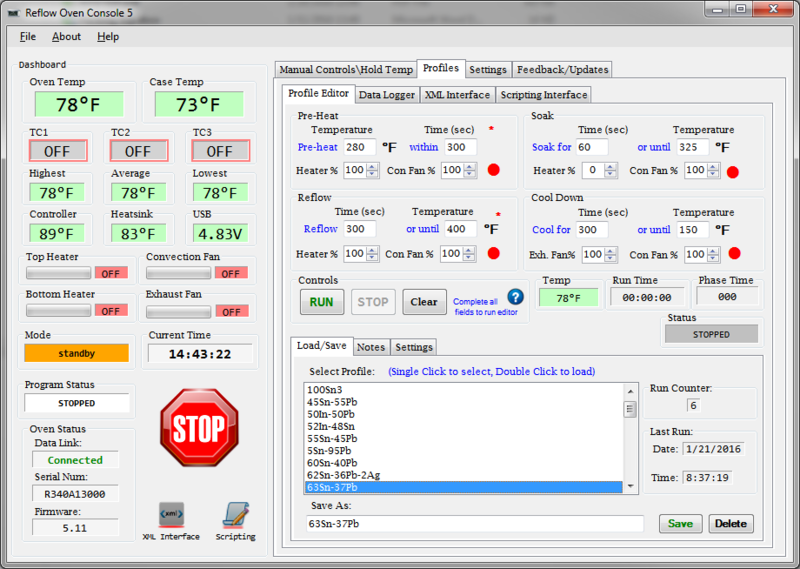 Three additional features have been added to all units and two optional feature based on customer feedback to decrease the oven preheat rise time and increase the cool down rate. Data collected on these tests can be downloaded at the end of this section. Additional data is available upon request. 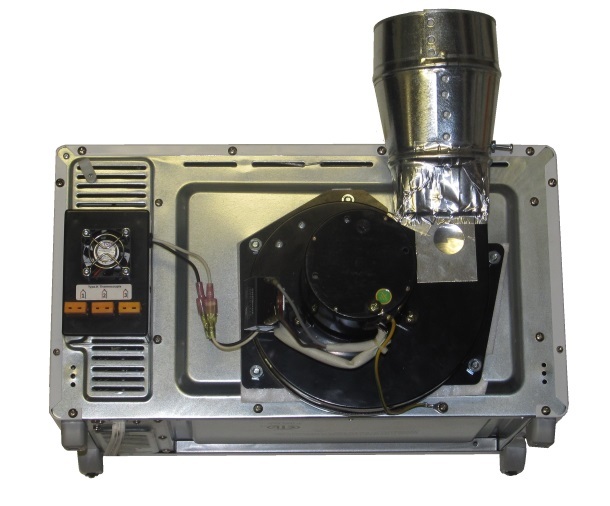 The exhaust fan shield is made from reflective aluminum that adds a layer of insulation to the rear of the oven and covers the port for the exhaust fan which reduces heat loss. For most applications it should be left installed however if the high cool down rates or high CFM exhausting is critical it can be removed by taking out two 6-32 Phillip head screws and slides out easily from the front of the oven. The door shield reduces the visible opening in the glass door down to a 1″ X 4″ rectangle. 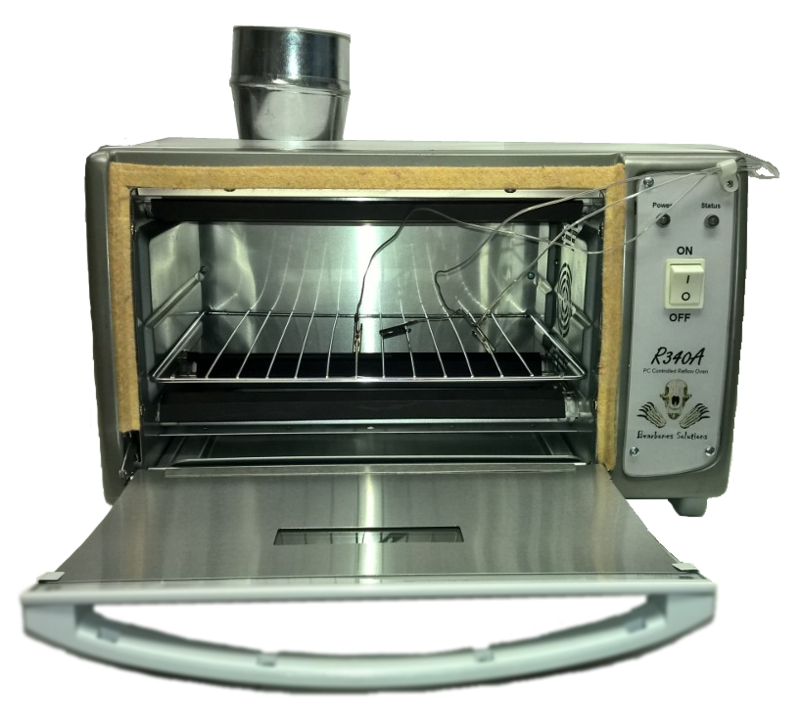 The reflective aluminum reduces the heat loss through the door and consequently decreases thermal losses within in the oven. The Shield is recommended when optimal rise times are desired however it can be removed if the full opening is desired for viewing. The insertion and removal is very simple and can be removed or installed in seconds. A slot has been added to the bottom of the oven under the drip tray. The slot is only visible with the drip tray removed as shown above and provides extra area for air flow during cool down. The drip tray also acts as a guide and forces the cool air evenly across the back side of the door and flows up and out the top of the oven. This provides more even cooling and forces air around the work parts instead of air blowing directly on the part. Insulation has been tested and proven to be effective in reducing the case temperature and overall thermal losses of the oven. 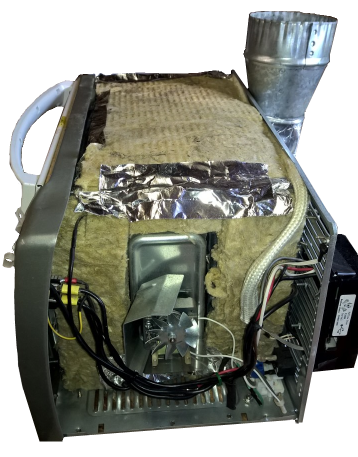 For the short runs of a typical reflow profile the insulation has shown to have minimal effect on reducing the rise time but has drastically reduced the temperature of the oven chassis. For non standard applications where the oven may be running for periods longer than 20 minutes at a time the insulation improves the temperature stability and thermal losses resulting in increased efficiency and lower external temperatures. This is an optional feature which can be selected at check out. (Base package) 1500W heater elements with a 15A 120VAC plug ( NEMA 5-15) installed on the oven. Explanation of NEMA plug styles All plugs are standard US style. Please contact us if you need a different style plug. 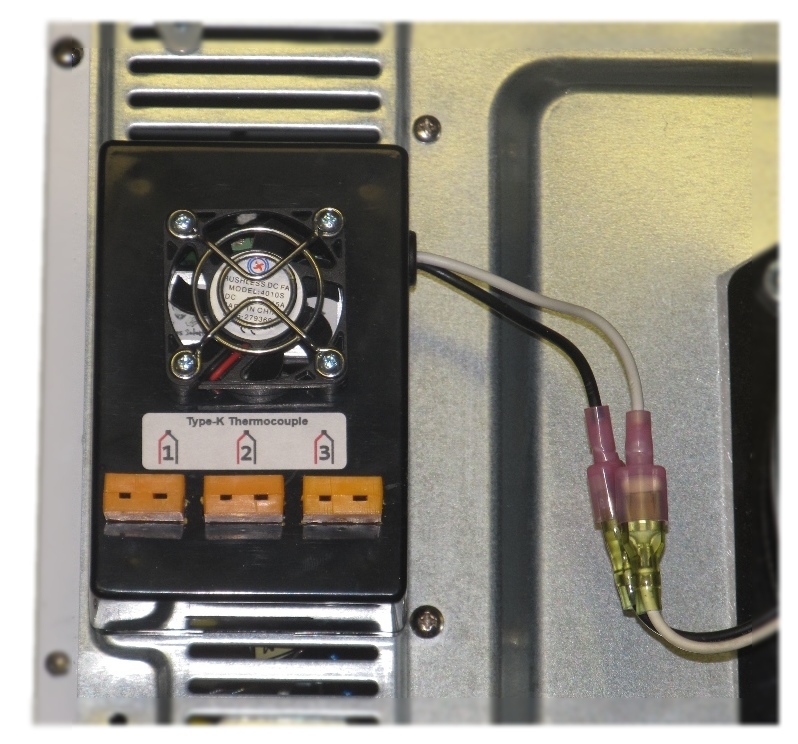 All heater options work with leaded and lead-free solder and can reach oven temperatures up to 370°C/700°F. The difference is how quickly they can reach the reflow temperature otherwise known as rise time. The general rule is the higher the power the lower the rise time. Before selecting the R340A for a non-electronic reflow application please note that the R340A was designed for short runs ( < 20min ) with temperatures < 700F/371C. Running the oven at high temperatures for extended periods of time will shorten the life of the oven and could lead to unsafe operating conditions. To avoid voiding the warranty, damaging the unit or causing unsafe conditions we request all customers contact us first before purchasing the R340A for a non-standard application. Also note that for these applications the XML or Scripting interfaces may need to be utilized as the software is optimized for solder reflowing. We take customer service and support very seriously. The R340A comes with a 30-day Money back Guarantee. If you are not completely satisfied with it you can return it for a full refund. After that there is a 1-year warranty against manufacture defects. Software and firmware upgrades are always free. Shipping to the USA will be through USPS Parcel Post. Shipping cost is calculated by location and is typically under $30. If you have a UPS or FedEx shipping account please contact us before purchasing and we will send you a special invoice. International Shipping is never free. Anyways, thanks a lot for the product and your excellent post sale support – we’ve literally done thousands of boards since we got it and the oven has performed magnificently. And the fact that it’s USA manufactured is icing on the cake……. We received the reflow oven in good shape. We were unable to get it running using Windows XP. When we connected it to a Windows 10 computer, the oven came right up on the first attempt. 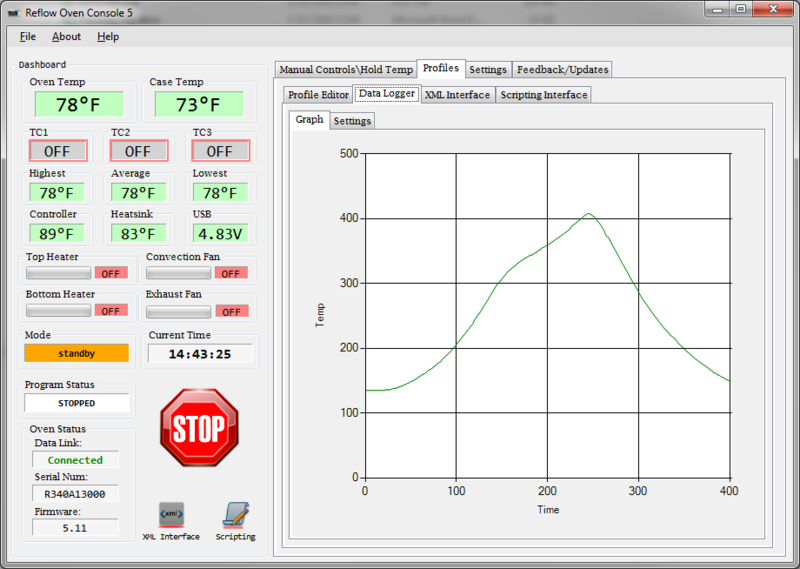 The GUIs are easy to use, with the pre-programmed profiles. We ran our first PCBs through the oven that day. The results are excellent. The reflow was professional grade, when inspected under a microscope. Great value for the price. = 5 Stars.